A renowned historian and engineer explores the past, present, and future of America's crumbling infrastructure. Acclaimed engineer and historian Henry Petroski explores our core infrastructure from both historical and contemporary perspectives, explaining how essential their maintenance is to America's economic health. Petroski reveals the genesis of the many parts of America's highway system--our interstate numbering system, the centerline that divides roads, and such taken-for-granted objects as guardrails, stop signs, and traffic lights--all crucial to our national and local infrastructure. 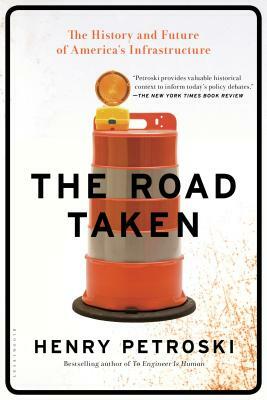 A compelling work of history, The Road Taken is also an urgent clarion call aimed at American citizens, politicians, and anyone with a vested interest in our economic well-being. Physical infrastructure in the United States is crumbling, and Petroski reveals the complex and challenging interplay between government and industry inherent in major infrastructure improvement. The road we take in the next decade toward rebuilding our aging infrastructure will in large part determine our future national prosperity. Henry Petroski is the Aleksandar S. Vesic Professor of Civil Engineering and a professor of history at Duke University. He is the author of eighteen previous books, including The Pencil: A History of Design and Circumstance, To Engineer Is Human: The Role of Failure in Successful Design, Engineers of Dreams: Great Bridge Builders and the Spanning of America, and The Essential Engineer. He lives in North Carolina and Maine.